Dischem #MillionComforts / Gee Whiskers! Periods. We all get them and I think we all equally hate them. The pimples, headaches, being bloated and cramps - there is nothing good about them. Now imagine going through all that without the proper products. I personally cannot imagine going through a period and dealing with all the blood without having pads and tampons to help me. That is why I decided to do this post - Dischem recently launched their #MillionComforts campaign to collect sanitary pads for young women who don't have access to pads every month. I don't want this post to be a preaching one, but I do feel very strongly about this...all women should. It is our basic right to have access to sanitary towels, to not only ensure our comfort during this time of the month, but also to ensure our overall health. I went to my local Dischem to go do my bit. Dischem's house brand pads are only R9.99 a pack. I purchased 10 packs which was only R100. You can buy any brand - it doesn't matter. All you do is take your pads of choice to the till, pay for them and then deposit them in the specially marked bins. 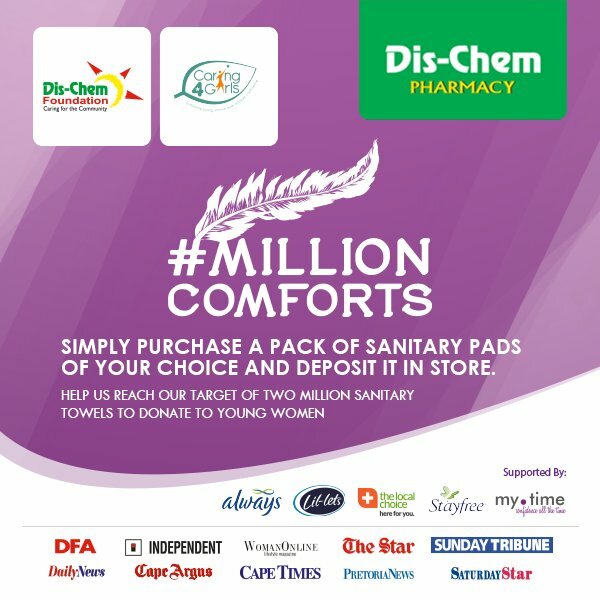 These pads are then distributed through the Dischem Foundation to those who need them. 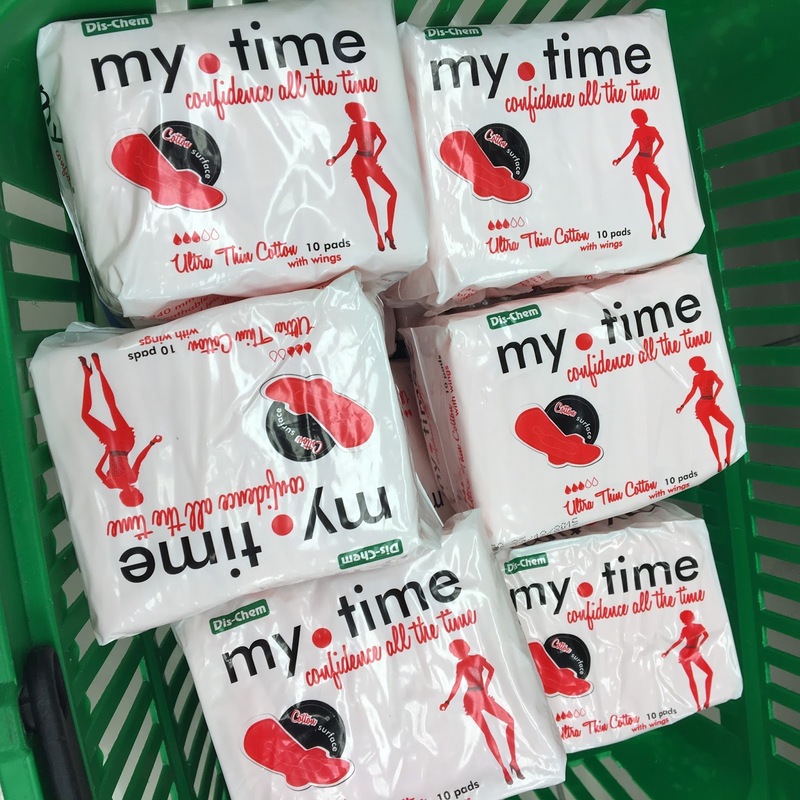 I could not imagine going through one of my periods without the proper product to ensure that I can go about my daily life. So many girls miss out of schooling because they don't have access to pads and this in turn will have an impact on them for the rest of their lives. Please think about getting involved with this cause and sharing the news with those you know. This is a wonderful campaign that will significantly improve the quality of life for so many young women. Thanks for this! I feel the exact same way. Will get my behind down to Dis-Chem ASAP! !